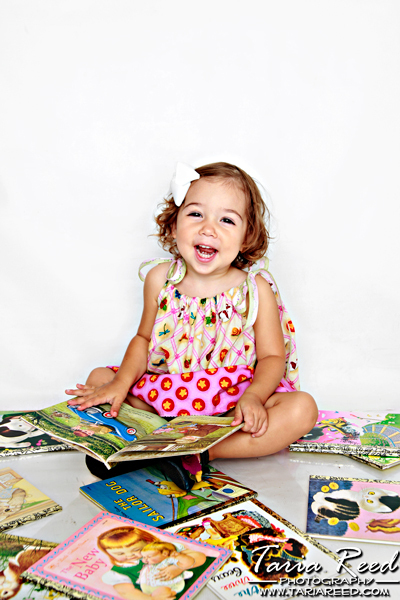 Taria Reed Photography: GRETCHEN IS TWO!! Ok I may be yelling a bit in my header but I am so excited about this little girl. She is so stinking cute and is honestly a ray of sunshine. I wasn't the only one who adored her, my 3yr old son Justin took a liking to her and after our session those two had a mini-playdate. I think he's in love...lol. If you are thinking to yourself that this little angel looks familiar, then you get a cookie. She's the daughter of the very beautiful Sara who treated herself to a makeover and beauty shoot earlier in September.